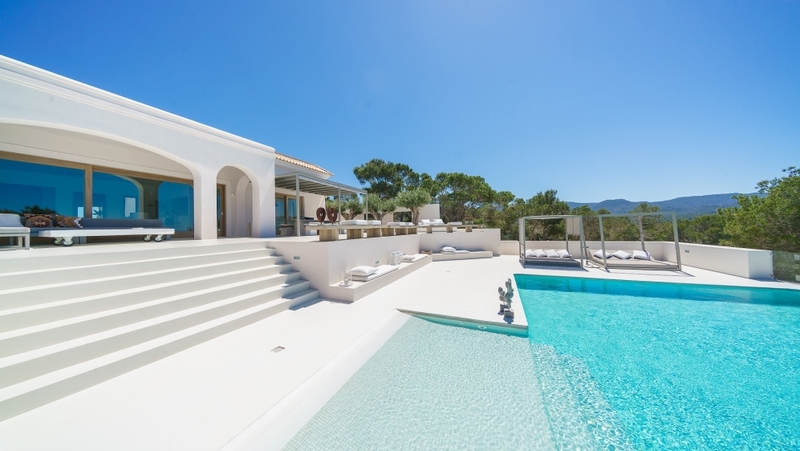 This is truly one of the best properties currently available on the island. 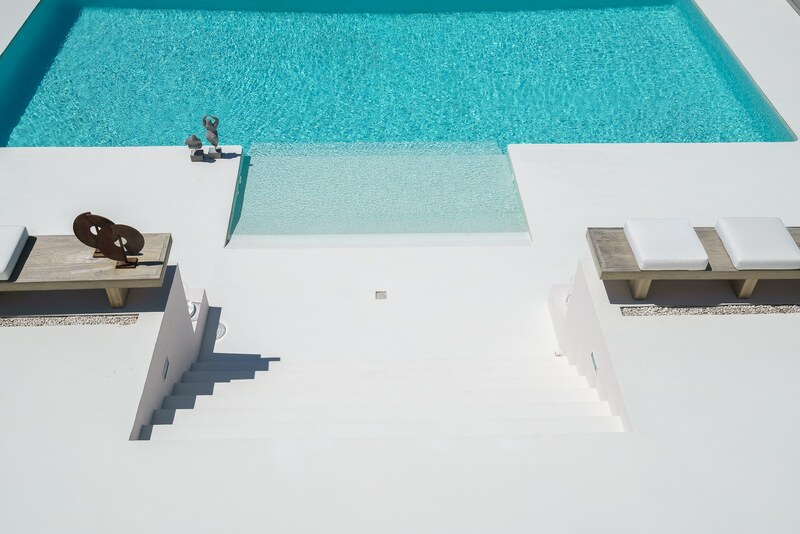 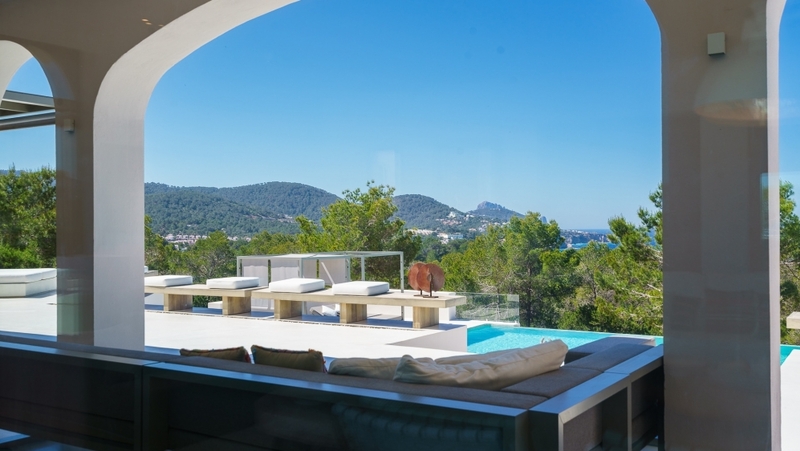 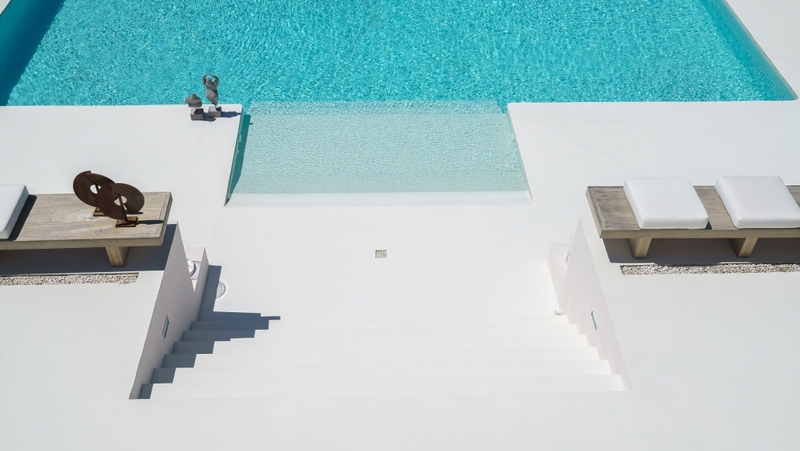 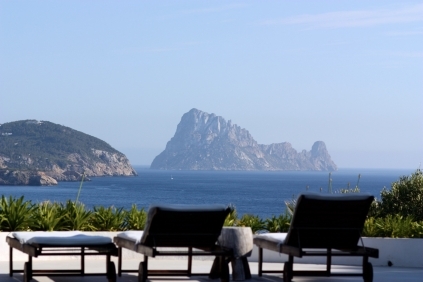 High end luxury villa for sale with amazing sea views in Ibiza. 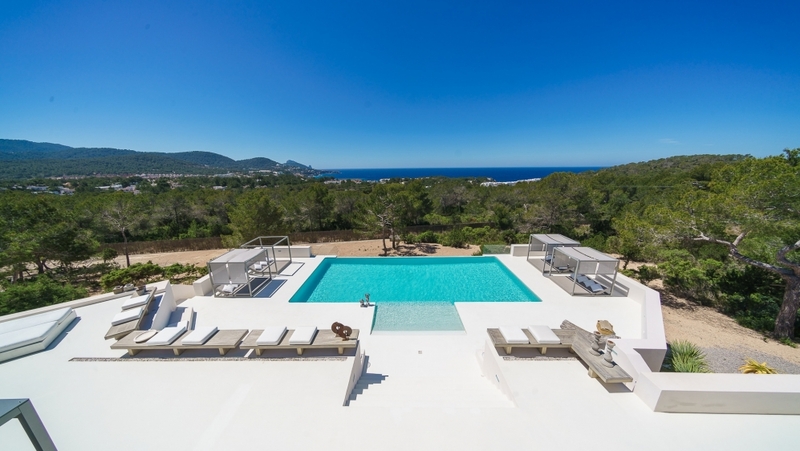 This newly built villa is constructed to the highest standards, it enjoys beautiful sea views and an amazing sunset. 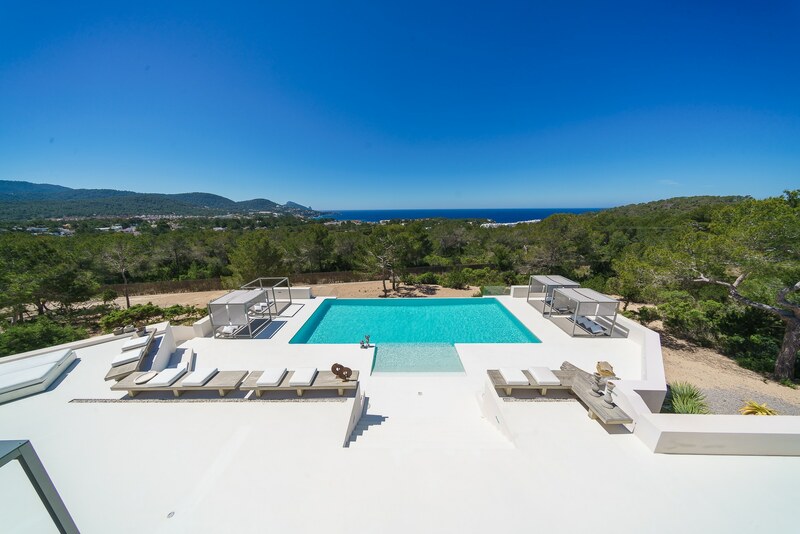 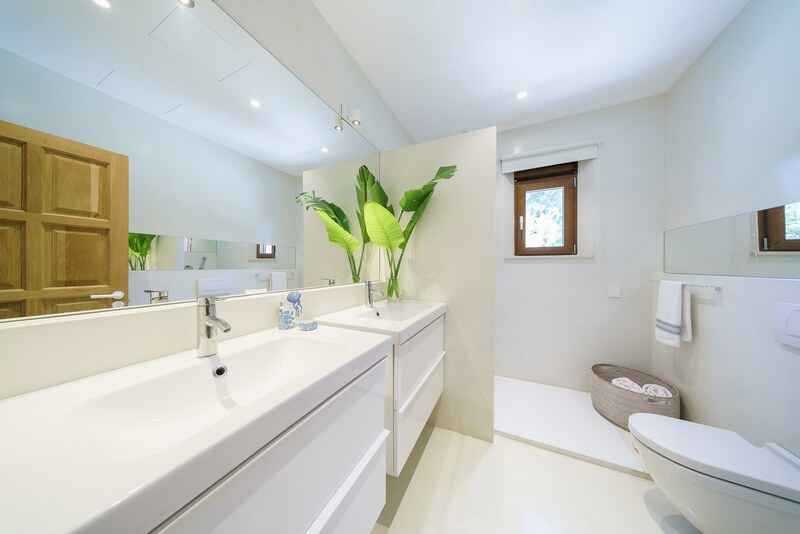 With 6 double bedrooms, all with en-suite bathrooms and a staff apartment for 2 people each family member enjoys full privacy in this villa. 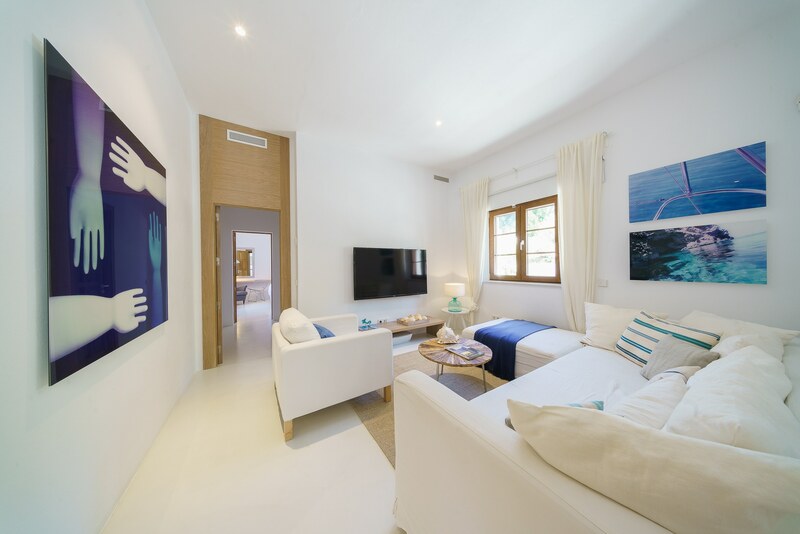 On the ground floor level, there are 3 double bedrooms, a small restroom, very bright and spacious living room, dining room, fully equipped designer kitchen, home cinema and a laundry area. 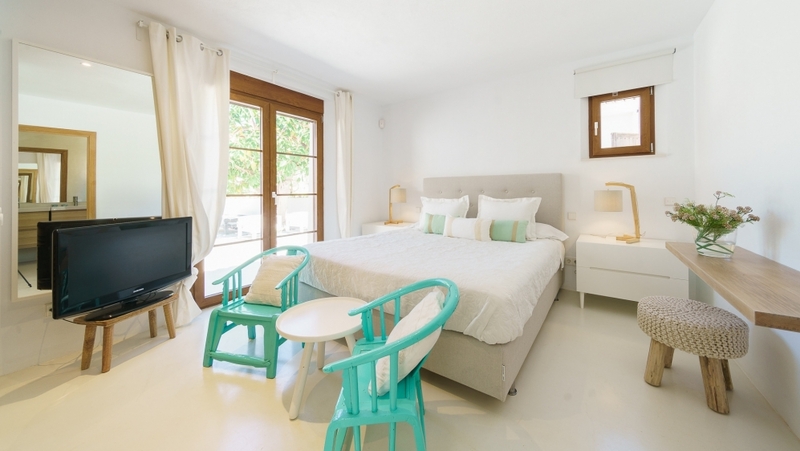 On the second floor, we have 3 double bedrooms with ensuite bathrooms, second home cinema room, and a small kitchenette. 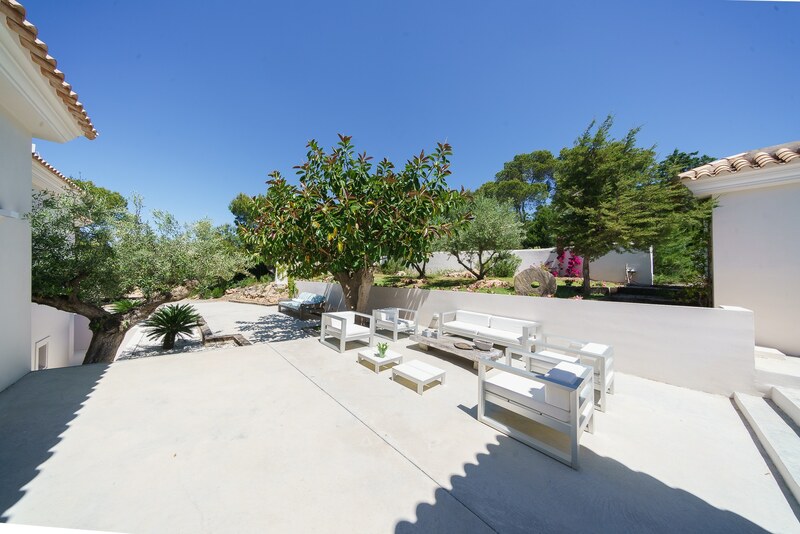 The house is set on a plot of 13.000m2 offering full privacy and has 600m2 build. 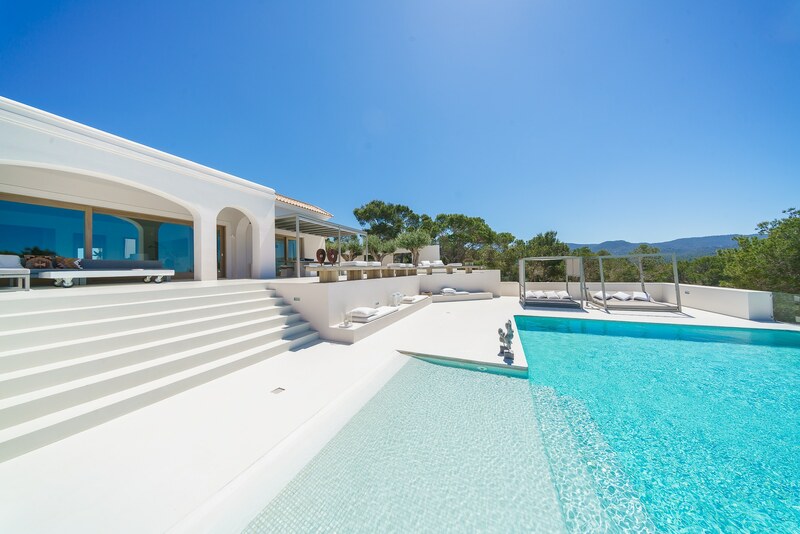 There are a large 18×6 swimming pool and a full-size gym with a Swedish sauna. 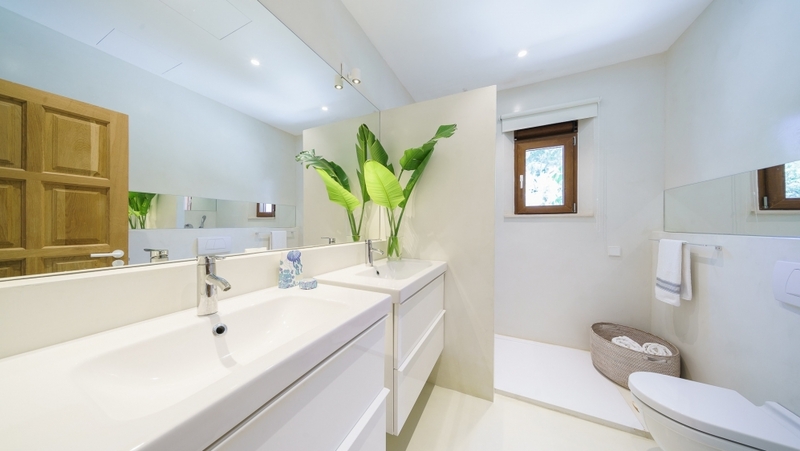 The floor is made of micro-cement and the wood is pure oak. 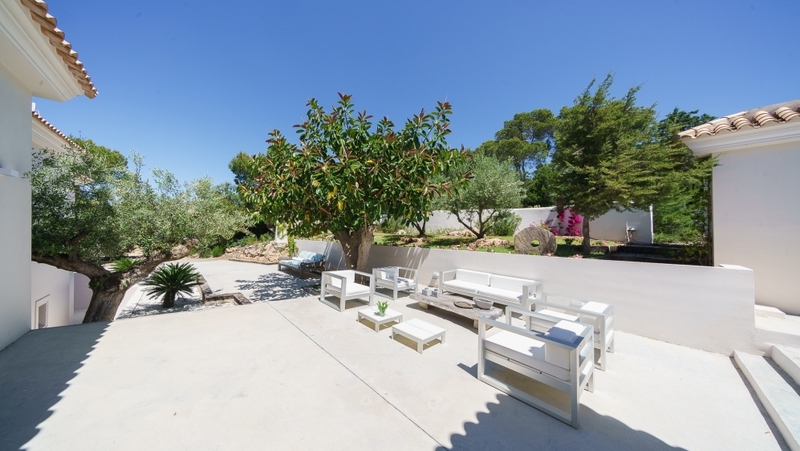 A beautiful high quality property, ready to move into. 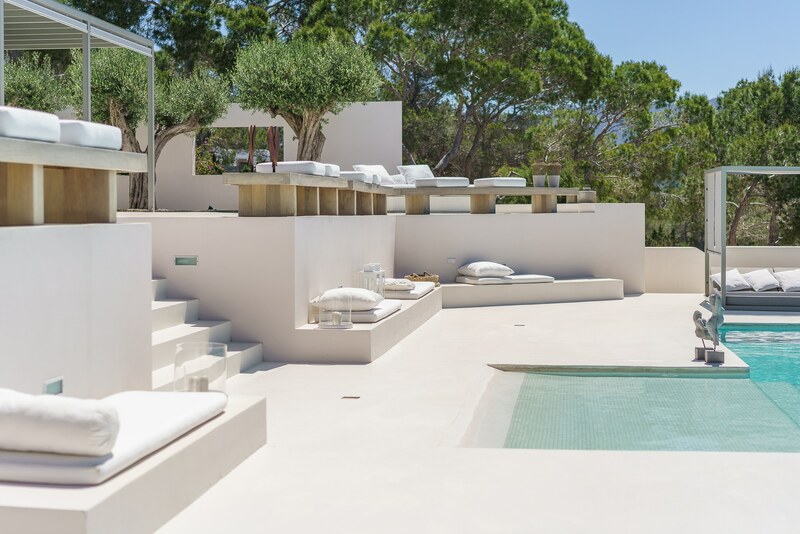 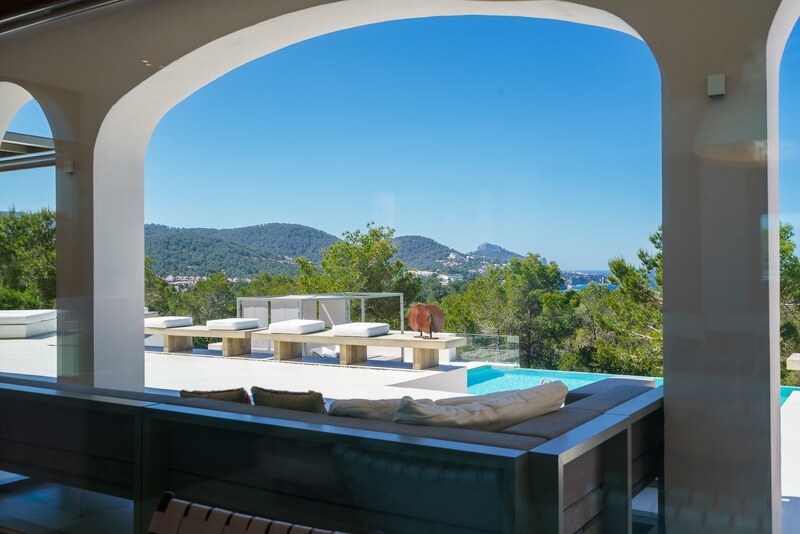 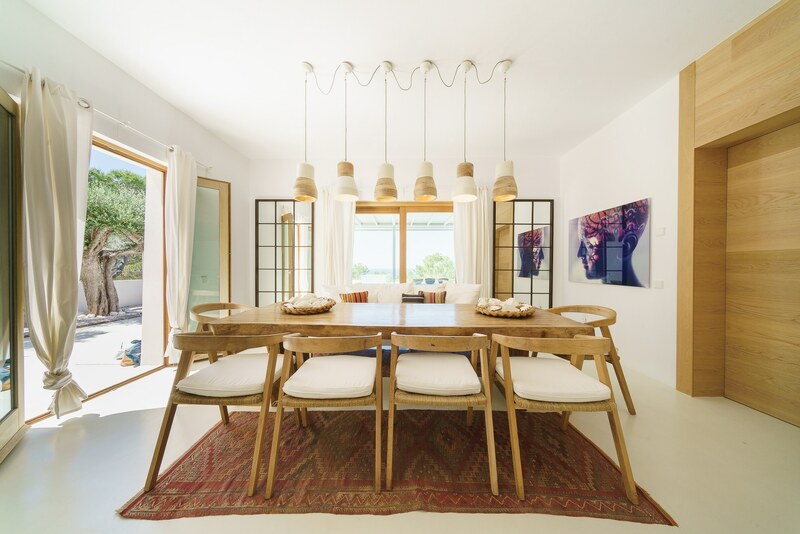 Modern Ibiza villa with spectaculair Es Vedra views!